Katherine Tegen Books, 9780062676276, 400pp. 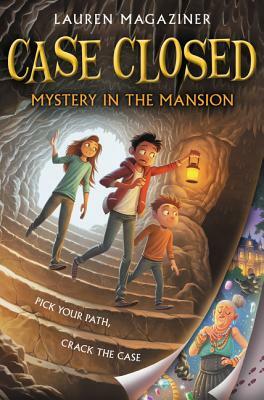 Lauren Magaziner is the author of Case Closed: Mystery in the Mansion, Wizardmatch, Pilfer Academy, and The Only Thing Worse Than Witches. She is originally from New Hope, Pennsylvania, and she currently lives in Brooklyn, New York, where she writes full-time. Lauren is also a secret undercover international detective—but don’t blow her cover. You can visit Lauren at www.laurenmagaziner.com.